Kim was born November 28, 1963, graduated from Mt. Healthy High School in 1982 and attended Ohio State University from 1982 to 1984. From June 1985 to October 1986, she worked at Frisch’s restaurant on Colerain Avenue. She then worked as an Eligibility Determinator at the Hamilton County Department of Human Services until September 1988. 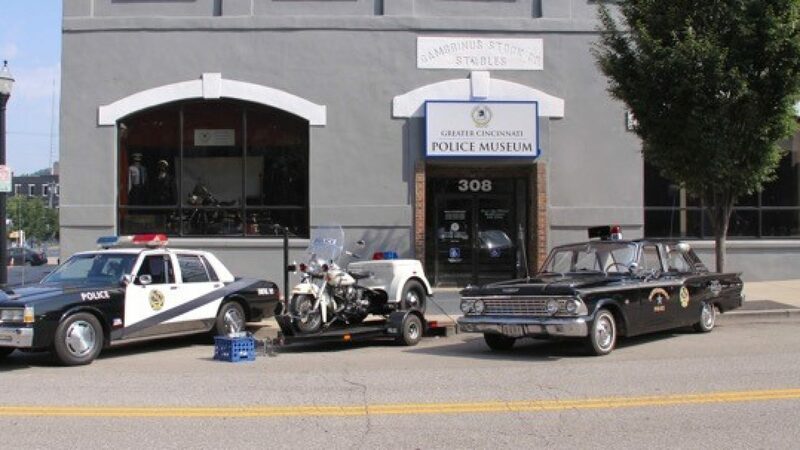 Kim joined the Cincinnati Police Division as a Police Recruit on October 2, 1988. She was promoted to Police Officer on February 19, 1989, issued Badge 692, and assigned to District 1. A year later, she rotated to District 5. Police Officer Williams also served in Street Corner Unit, Vice Control Section, Intelligence Unit, and District 3. She was promoted to Sergeant on August 27, 1995, issued Badge S-84, and transferred to District 1. Sergeant Williams also served in the Event Planning Unit and Detail Coordination Unit. She was promoted to Lieutenant on February 6, 2002, issued Badge L-84, and transferred to Patrol Administration. A month later, she was transferred to District 2. Eight months later, she was assigned as the District 2 Investigative Unit Commander. Three years later, on December 4, 2005, she was transferred to command the Personal Crimes Unit of the Criminal Investigation Section. While there, she was also assigned often as the Event Site Commander for most dignitary visits, including those the President of the United States to member of his Cabinet. She was also assigned to the Chief’s Scholar Program and earned a Master’s Degree. Later, Lieutenant Williams served as the Chief’s Adjutant, Youth Service Unit Commander, and in District 4. On February 10, 2016, she was the first female African American to be promoted to Police Captain, issued Badge C-3, and assigned as District 2 Commander. On August 10, 2016 she earned the Department’s Award for Exemplary Conduct. During 2017, she was assigned as the Internal Investigations Commander. She retired on August 16, 2018 with almost 30 years of service and 27 letters of appreciation and/or commendation; including one from the Southgate Police Chief, one from the Recreation Department Director, and four from Cincinnati police chiefs. During her career, Captain Williams earned a Bachelor’s Degree in Liberal Arts from Xavier University and a Master’s Degree in Criminal Justice from the University of Cincinnati and graduated from the Police Executive Leadership Class (PELC), FBI National Academy, and Senior Management Institute for Policing. Captain Williams was also active in her church, Golden Leaf Baptist, where she served on the Kitchen Committee and Hearing-Impaired Ministry and taught Sunday School. During most of her captaincy, she was plagued by breast cancer and cancer treatments, the latter of which were causing great physical distress. She was rushed to a hospital on August 16, 2018 and immediately placed in ICU. She passed away in the company of family and friends at 6:15 p.m. on August 21, 2018 at the age of 54. Captain Williams is survived by her son, Robinson Perry; and siblings, Cincinnati Police Officer Governor Williams, Carol Samuel, Kathy Chapman, Valerie Larkin, and LaVerne D’Armond. Visitation will be held 9 to 11 a.m. on Saturday, September 1, 2018, at Lincoln Heights Baptist Church at 9991 Wayne Avenue. An FOP service will begin at 10:30 a.m. and a funeral service will be held from 11 a.m. to 1 p.m. Interment will take place at Spring Grove Cemetery at 1:30 p.m. The repass will be held at the Duke Energy Convention Center immediately following burial. A benefit account has been established at the Cincinnati Ohio Police Federal Credit Union in memory of Captain Williams. Donations will be provided to her son, Robinson.